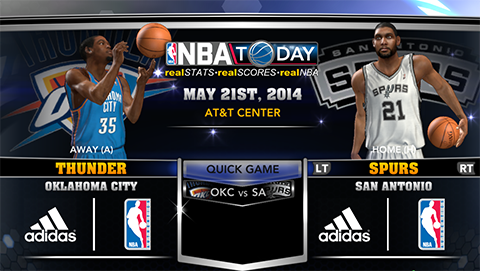 2K Sports has released a new roster update for NBA 2K14 to coincide with the Eastern and Western conference finals. Team rotations have been updated, accurate as of May 21st, 2014. The update also affects the injury status of Oklahoma City Thunder power forward Serge Ibaka, who is done for the rest of the playoffs because of a calf injury. Players who ended the season injured will not be returned to active status until the last roster update for NBA 2K14 which comes after the NBA Finals.